I'm a slow poke when it comes to writing so I'm super sorry to my readers but do appreciate all your love and support. Kagome and Sesshomaru view the light show. A little oneshot to celebrate the USA Independence Day. A bit of a lime at the end. Also OOC. All of my mindless short simple drabble things will go in here. Eventually this will be a collection of unrelated drabbles and this is always complete even though more may/may not be added ever. 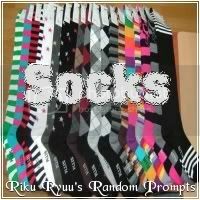 A oneshot for Riku Ryuu's Random Prompt: Socks. Scratchy socks are not to be used as handcuffs for DaiYoukais. Kagome decides to have a little fun while the pups are at Grandma's house. Just a little oneshot for St. Patrick's Day. MA. Oneshot. Mindless OOC fluff about how an argument with his Mate can end in him sleeping with her younger self. Whoops. Sesshomaru thought the night of their wedding would go in a different direction, unfortunately he and Kagome aren't the only ones interrupted. Written for Siera Goddess Of The Sea through the Dokuga Holiday Exchange 2018. AU - A short oneshot for April Fools' Day. This is a bit late, but thanks so much for your review for Birds of a Feather! I started the story a few years ago, and I'm always happy whenever I receive notes from new readers. I'm glad that I was able to surprise you with something different, especially since there are a ton of fics out there to read. I actually make it a habit not to read a lot of other stories so that I can approach my plots without being too heavily influenced by another's ideas. It makes things more fun that way, I think. Anyway, I hope you'll continue the story and look forward to future updates! Have a nice day! Thank you for your review to "Higurashi Guest House." I'm glad you're enjoying it so far. As for the DDN prompts thing: I've always done DDN's that way. 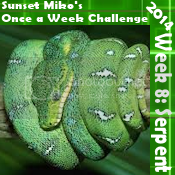 It makes it more fun, and I can promise readers somewhat of a regular update schedule. I can't wait to read more of your work as well! Thank you as ever for the review! Glad u cant wait to see what happens!